Salut, and welcome to our lesson about French helping verbs at Language Easy! Helping verbs include auxiliaries (être and avoir) and semi-auxiliaries (all the other ones). We already presented auxiliary verbs in our previous lesson, so here we’ll concentrate on semi-auxiliaries. What are the French helping verbs? Que sont les semi-auxiliaires ? 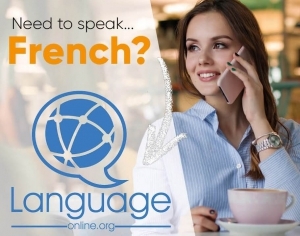 French helping verbs or auxiliary verbs (les auxiliaires) are verbs that can be conjugated in association with another verb to express a nuance in the action of that verb. That other verb is called the lexical verb (le verbe lexical). the lexical verb comes last and is at impersonal form, i.e. infinitive or participle. Remember, être (to be) and avoir (to have) are categorized as auxiliaries while all the other verbs are called semi-auxiliaries. The difference between is that the auxiliaries are used to construct specific grammatical forms (such as compound tenses, or the passive voice) while the nuance brought by semi-auxiliaries is more of a semantic nature. As we already studied auxiliaries in our previous lesson, here we’ll focus on semi-auxiliaries only. The most common semi-auxiliaries are aller (to go), venir (to come), pouvoir (to be able to), devoir (to have to), vouloir (to want), savoir (to know), laisser (to let) and faire (to do / to make). Un ange passe. → Laisse passer l’ange! A angel is passing by. → Let the angel pass by! Pierre cuisine très bien. → Il sait cuisiner très bien! The verbs aller (to go), venir (to come) as semi-auxiliaries introduce a geographical movement made in order to make the action possible: come here so you can do this, go there so you can do that. Viens me chercher à midi, s’il te plaît! On ira faire des courses. The verbs aller and venir have another special usage as auxiliaries as they are used in the construction of two pseudo tenses: the near future (futur proche) with “aller”, and the recent past (passé récent) with “venir de“. Mais j’espère qu’ils vont repartir très vite ! But I hope they are going to go very soon! Demain, on passera dire bonjour à Pierre. Il pleut dehors, rentre t’abriter! It’s raining outside, come shelter inside! Personne n’est sorti promener le chien aujourd’hui? No-one went walk the dog today? Il faudrait que quelqu’un monte au grenier me passer le tournevis. Someone should come up and give me the screwdriver. Marc a demandé à Hélène qu’elle descende la rejoindre à la cave. Marc asked Helen that she go down to meet her in the cellar. The helping verb passer can be used to express the same idea as aller or venir, the subtle difference being that instead of asking that someone initiate a trip to do the action, that trip is already planned or being done and a detour is asked for. The verbs vouloir (to want), devoir (to have to), pouvoir (to be able to), savoir (to know) can be used as helping verbs to express the same relation to an action their original meaning describes. Before looking at these examples, can you try and come up with one of your own for each of these verbs? Tu peux faire tout ce que tu veux, tant que tu sais le faire. You can do whatever you want, as long as you know how to do it. The French helping verbs laisser (to let), faire (to do) are used when the subject, or the doer of the action is something or someone else: to let something happen, to have something done. 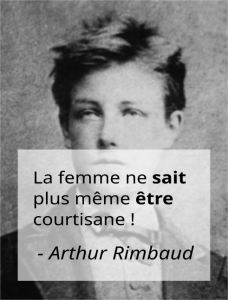 Fais-toi couper les cheveux par ton coiffeur ! Nous ferons venir les ouvriers le lundi. We will have the workers come on Monday. Hélène s’est faite renverser par une voiture. Le conférencier m’a fait changer d’avis sur l’écologie. The lecturer made me change my mind about quantum physics. Et voilà, we reached the end of our lesson about French auxiliary verbs. You will now be able to introduce nuances to your verbs in a lot of different ways, which is cool! For our next lesson, we will study a different family of verbs : the impersonal verbs. See you there!